Hairy Curtain Bracket (Stereum hirsutum) is a great name for this wood loving fungi that thrives on dead wood and can often be found right through the winter months. It is not edible as a culinary mushroom, however it has many medicinal properties. Clinical tests have shown it has food antioxidant properties. Benzoate extract of its mycelia is also actively antimicrobial against methicillin-resistant Staphylococcus aureus. It also contains four epidioxysterols, of which two (1,4) possess significant activity against TB Mycobacterium tuberculosis. Dry extract of Stereum hirsutum has significant inhibitory activity on thrombin (due to glycerolipids). This means that it could be used to make a blood thinning medication as an alternative to the dangerous drug warfarin. 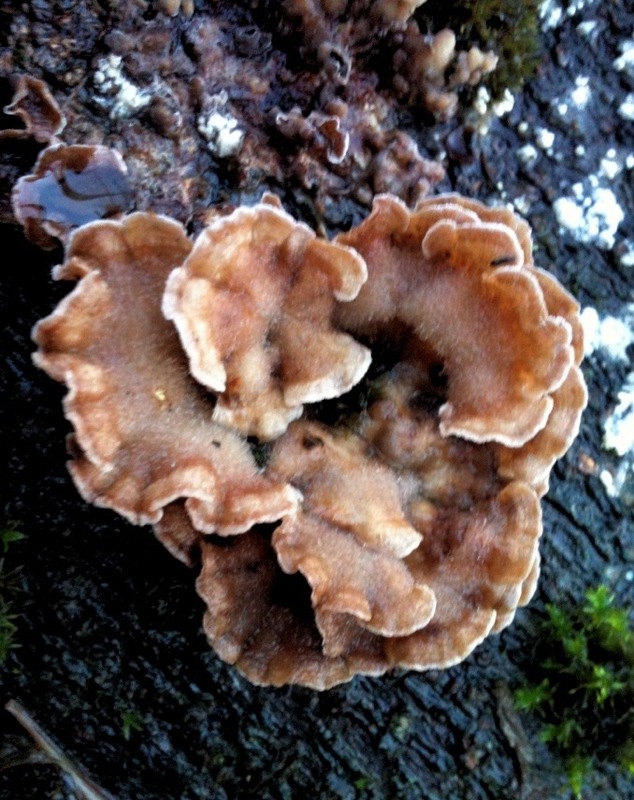 In the environment, Stereum hirsutum has been used to decontaminate Bisphenol A (BPA) and 4-n-nonylphenol (NP) (endocrine disrupting compounds that leach from waste plastic) from river water sediment inoculated with the fungus. These compounds are particularly dangerous to both aquatic life and humans. Turkey Tail fungi (Trametes versicolor) also do this extremely well, being superior in decontaminating lake sediment. Next PostIs Comfrey Cream Safe?